Both the GT-R and the Aventador have standard driver and passenger frontal airbags, front side-impact airbags, side-impact head airbags, front seatbelt pretensioners, four-wheel antilock brakes, all-wheel drive, traction control and electronic stability systems to prevent skidding. There are over 67 times as many Nissan dealers as there are Lamborghini dealers, which makes it much easier should you ever need service under the GT-R’s warranty. The Aventador’s redline is at 8250 RPM, which causes more engine wear, and a greater chance of a catastrophic engine failure. The GT-R has a 7000 RPM redline. On the EPA test cycle the GT-R Auto gets better fuel mileage than the Aventador Auto (16 city/23 hwy vs. 11 city/18 hwy). 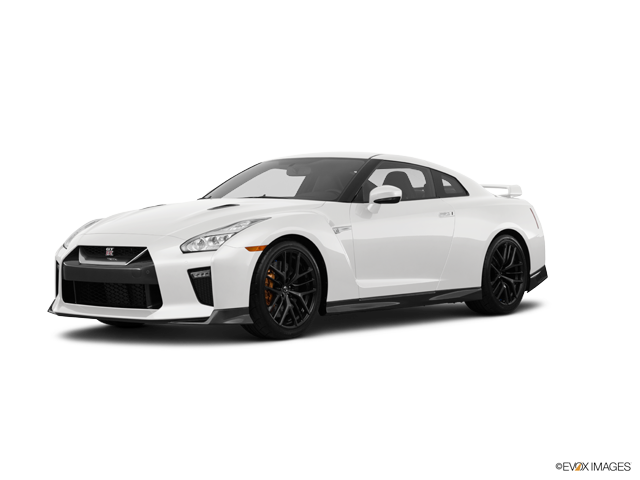 For better ride, handling and brake cooling the GT-R has standard 20-inch wheels. Only 19-inch front wheels are available on the Aventador. Changing a flat tire near traffic can be dangerous and inconvenient. The run-flat tires standard on the GT-R can be driven up to 50 miles without any air pressure, allowing you to drive to a service station for a repair. The Aventador doesn’t offer run-flat tires. The GT-R has a standard driver-adjustable suspension system. It allows the driver to choose between an extra-supple ride, reducing fatigue on long trips, or a sport setting, which allows maximum control for tricky roads. The Aventador’s suspension doesn’t offer adjustable shock absorbers. For a smoother ride and more stable handling, the GT-R’s wheelbase is 3.1 inches longer than on the Aventador (109.4 inches vs. 106.3 inches). The GT-R’s front to rear weight distribution is more even (54.9% to 45.1%) than the Aventador’s (43% to 57%). This gives the GT-R more stable handling and braking. The GT-R Premium handles at .97 G’s, while the Aventador pulls only .95 G’s of cornering force in a Car and Driver skidpad test. The GT-R Premium goes through Road & Track’s slalom 3 MPH faster than the Aventador (75.4 vs. 72.4 MPH). For better maneuverability, the GT-R’s turning circle is 4.4 feet tighter than the Aventador’s (36.6 feet vs. 41 feet). The GT-R is 4.3 inches shorter than the Aventador, making the GT-R easier to handle, maneuver and park in tight spaces. The GT-R is 5.3 inches narrower than the Aventador, making the GT-R easier to handle and maneuver in traffic. The design of the Nissan GT-R amounts to more than styling. The GT-R has an aerodynamic coefficient of drag of .26 Cd. That is significantly lower than the Aventador (.33). A more efficient exterior helps the GT-R go faster and keeps the interior quieter. It also helps the GT-R get better fuel mileage. The GT-R has standard seating for 4 passengers; the Aventador can only carry 2. The GT-R has 1.9 inches more front headroom and 1.3 inches more front legroom than the Aventador. The GT-R has a much larger trunk than the Aventador (8.8 vs. 5.2 cubic feet). The GT-R’s standard power window controls are mounted on the armrest for easy access. The Aventador’s available power window controls are spread out on the center console where they can’t be seen without the driver completely removing his eyes from the road. The GT-R’s speed-sensitive wipers speed up when the vehicle does, so that the driver doesn’t have to continually adjust the speed of the wipers. The Aventador’s manually variable intermittent wipers have to be constantly adjusted. The GT-R’s standard dual zone air conditioning allows the driver and front passenger to choose two completely different temperatures so people with different temperature preferences won’t have to compromise. This makes both the driver and front passenger as comfortable as possible. The Aventador doesn’t offer dual zone air conditioning. The GT-R was selected by Automobile Magazine as their 2009 Car of the Year. The Aventador has never been chosen.